Proper YouTube keyword research is the backbone of a good YouTube SEO strategy. Why? Because finding the right YouTube keywords could mean the difference between your ideal shopper catching your content, or your content being a complete traffic dead-zone. 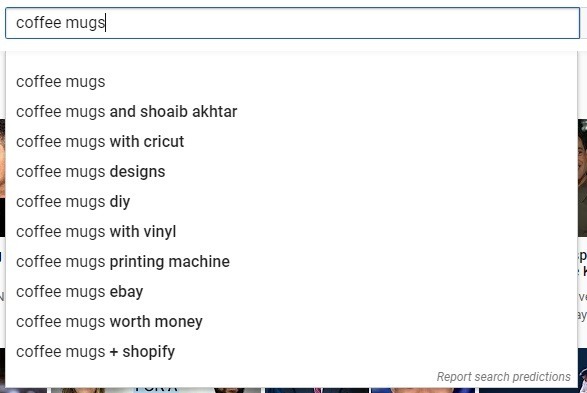 YouTube’s auto-complete will help you find popular YouTube search phrases that you may not have thought of for your main store keywords. It can also point to popular content that your shoppers could be interested in seeing – therefore giving you a host of new video marketing ideas, as well as possible new popular products. Just like when doing your SEO or paid search keyword research, you want to keep up-to-date with what your competitors are doing. Finding out what videos your biggest competitors are ranking for can be eye-opening, and the way you would do it is by searching their YouTube tags. This can be difficult and time-consuming – if you don’t have the right tools, that is. This includes tools such as TubeBuddy and Tags for YouTube for Chrome, which allow you to look at tags from your browser. Or the platform vidIQ, which includes a free basic version that lets you track up to three of your biggest competitors. 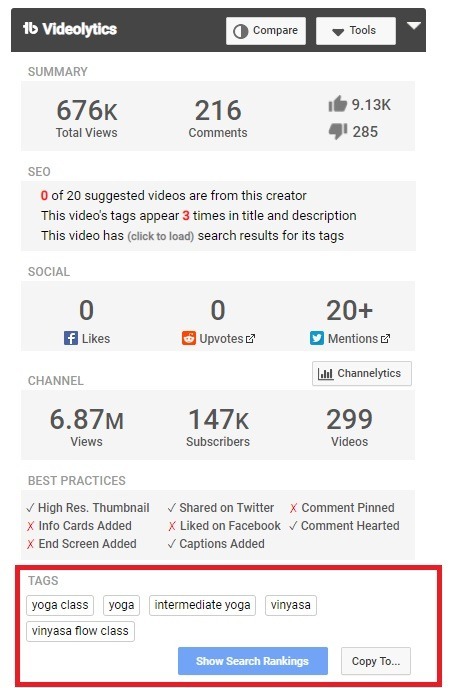 Following the same tactics as above, you can research the tags of the most popular video content within your niche. These are not necessarily competitors, but YouTube content that your target audience is eating up, so to speak. Popular tags from popular videos can give you a lot of YouTube keyword inspiration. By looking at the tags of high performing videos, you get a peek into what brands are using and the keywords their viewers are likely to search for. Here’s an example of what I did, using the TubeBuddy chrome extension. To see a channel’s (or brand’s) most popular videos, click on the ‘Videos’ tab of their channel. 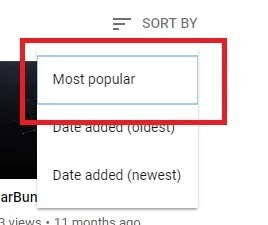 By default, the content in their video tab will be sorted by recent uploads, but you can change that to ‘Most popular’ to see their highest performing videos. Obviously, it’s not all about what your competitors are doing on YouTube. You need to do research based on your specific product, brand and target shopper. There are a bunch of free tools out there to help you do just that. Here are some to get you started. 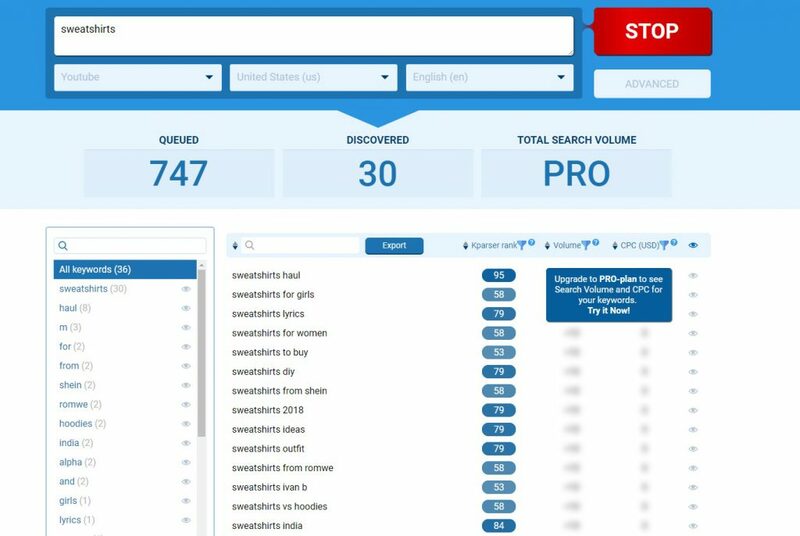 Kparser is a free keyword tool that allows you to limit your searches per platform and therefore by YouTube searches. You will need a pro plan to see volumes and CPCs, however, they give a ton of possible keyword suggestions, according to rank, for free. Unlike some other free online keyword research tools, Keyword Tool offers keyword suggestions related exclusively to YouTube as well. Although their free version won’t give you specific search numbers for each term, it will provide a list of possible terms and volumes for some of the top 5 listings. Created by SEO guru Neil Patel, Ubersuggest.org does just that. 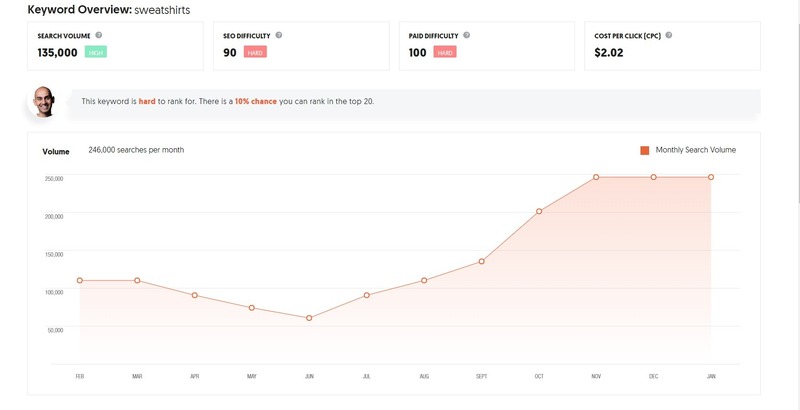 It gives you a keyword overview, rates difficulty and offers competitive intelligence. Wordtracker’s free trial version gives keyword researchers a lot of functionality without any commitment. 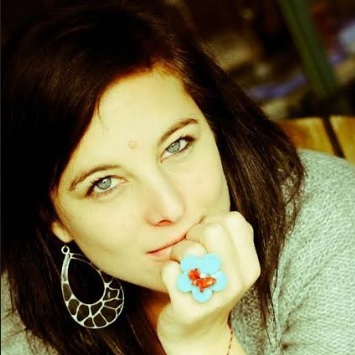 Its interface is pretty user-friendly and includes YouTube databases. If you do have the budget for YouTube-specific keyword research tools, you can try KeywordKeg. Remember all those analytics we discussed in the intro of this post? Well, they don’t just point to performance; they can also offer a lot in the way of keyword research. 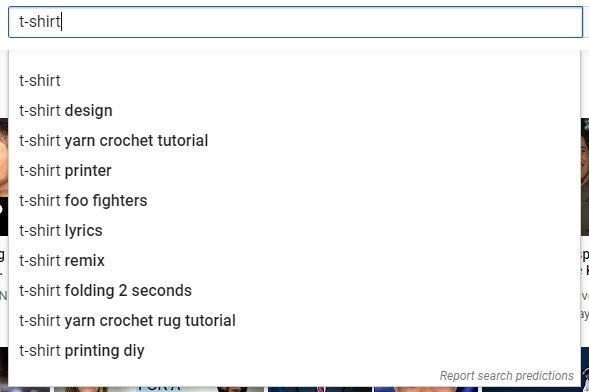 Keeping a close eye on what is driving viewers to your content may point to YouTube search terms you haven’t even thought of. Head over to your Creator Studio and click ‘Analytics’ – you may be surprised by what viewers are searching for when they come to your content. You can then take these popular and/or unusual keywords and use them in the tools we suggested above to find new phrases to test! When doing your keyword research, remember to think outside the box and always put your mind in that of your specific target shopper. You don’t just want to copy popular content or competitors’ YouTube tags; you want to use your YouTube keyword research to build a unique, winning keyword strategy specifically tailored to your brand. Additionally, you also want to make sure that, once you have researched your keywords, you test them in a variety of places. Yes, you want to use them in your content tags, titles and descriptions, but also consider your channel and playlist title descriptions, YouTube hashtags and thumbnail alternative text. New to YouTube? Check out our complete YouTube ad guide. New to keyword research and want to extend your searching to Google Ads? Check out our guide to finding the right keywords for your paid search. This entry was posted in eCommerce Tools and tagged keyword research, keyword tool, keywords for youtube, video ads, video marketing, youtube, YouTube ads, youtube marketing. Bookmark the permalink.